Nick Cave fans will be delighted with this morning’s news of a career-spanning boxset. Lovely Creatures: The Best of Nick Cave and the Bad Seeds 1984 – 2014 will be available in numerous formats, the most exciting of which will feature three discs of material, a two-hour DVD filled with interviews, live footage and other bits, and a 256-page hardcover book featuring essays, photos, and other ephemera. The set was compiled by Nick Cave and Mick Harvey. “There are some people out there who just don’t know where to start with The Bad Seeds”, Cave wrote in a statement announcing the project. “Others know the catalogue better than I do! This release is designed to be a way into three decades of music making. That’s a lot of songs. “The songs we have chosen are the ones that have stuck around, for whatever reason. Some songs are those that demand to be played live. Others are lesser songs that are personal favourites of ours. Others are just too big and have too much history to leave out. Lovely Creatures: The Best Of Nick Cave & The Bad Seeds 1984 -2014 out 5 May 2017. Outside of David Bowie, there was probably no more discussed and analysed album this year than Nick Cave’s Skeleton Tree. You surely know the story by now, mid-way through recording Skeleton Tree, Nick Cave was struck by personal tragedy with the death of his son Arthur. Exactly how much of the album preceded or followed the event, it was almost impossible to not hear the spectre of grief hanging heavy over the entirety of Skeleton Key. In some lesser writer’s hands Skeleton Key could have been a painful mess, but if there was one person you’d back to perfectly tread the line between sentimentality and anger, it was Nick Cave. His entire career has been spent writing in the darker echelons of the human mind, but here he seemed to walk amongst the darkness he previously narrated – this darkness, this pain, this was reality. What Skeleton Key does so well is steer clear of being a tribute, this isn’t an album about death, this is an album about grief, and a brutally honest one at that; when in Magneto Nick sang, “the urge to kill somebody was basically overwhelming“, you could tell he meant it. Skeleton Key is quite possibly the finest album ever written about the process of grieving, and its ability to cripple and shape every aspect of your life; it offeres no resolution, no light at the end of the tunnel, just an all-encompassing monolith to loss – it is also, almost coincidentally, a masterpiece for sure. Skeleton Tree is an emotionally challenging listen and you’d have to have a heart of stone not to be moved by this beautifully, raw, bleak yet inspiring album. It’s been said much of the album was written before tragic events enveloped Mr Cave and his family, but for the listener, it remains impossible not to link the two when contemplating such an astonishingly intimate dark collection of songs. 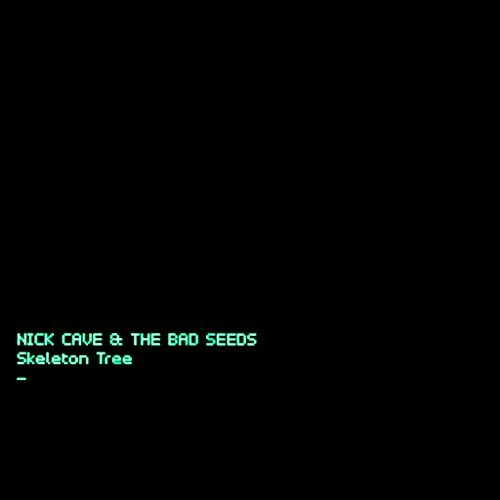 Though some of the music on Skeleton Tree predates the tragic death of Nick Cave’s 15-year-old son last year, that event inevitably hangs over and defines the album. Over eight songs, Cave crafts a harrowing, raw portrait of the span and directions of that kind of grief: There is the gaping dread of “Jesus Alone” and “Anthrocene,” there are somber meditations in “I Need You” and “Skeleton Tree,” occasionally gesturing at the possibility of hope. To call the album “haunting” almost minimizes it. There’s a gravity here beyond your average piece of pop music; even in a year as full of death as 2016, you can’t slot this into a narrative. Skeleton Tree is an intimate glimpse at an unimaginable chapter in a person’s life, made all the more powerful for its depiction of how they are trying to process it and continue living after the fact. Some albums are hard to distance from the events surrounding them. With Skeleton Tree, it’s impossible to overlook the tragic death of Nick Cave’s son midway through the recording process. It would be inaccurate to say that this is an album about 17-year-old Arthur, as most of it was written before he tragically fell from a cliff in Brighton, but it’s such a major event that it’s hard not to think about it through every note of these eight tracks. Cave’s work is dark and morbid at the best of times, and perhaps there’s an element of “seek and ye shall find” in finding prophecy in his latest work, but it’s particularly chilling that the first line of the album is “you fell from the sky”, and one of the last is “I called out right across the sky”. The album is beautifully stripped-down and tender, with highlights including the funereal ‘Girl In Amber’, and the ghostly humming and scratchy drumming of ‘Anthrocene’. ‘I Need You’ perhaps hit me hardest of all the songs on the album, where Cave sounds a helpless, broken man as he repeats simple, almost childlike words like “nothing really matters” and “I’ll miss you when you’re gone”. It’s an absolutely gripping and essential listen, if not always a comfortable one. For Cave to have finished this album at all is a huge credit to him. For him to channel his grief into possibly the best work I’ve ever heard from him is really something else. On Friday, Nick Cave and his Bad Seeds will release their new album Skeleton Tree, and other than the soul-wrecking first single “Jesus Alone,” I haven’t heard anything from it yet. Nobody has. Cave’s label has sent out no advances, which means music critics like me are tingling with anticipation just like everybody else. This is Cave’s first album since his son fell off a cliff and died last year. Cave is an artist with a long, storied history of staring deeply into the darkest parts of the human experience, of drinking that darkness in and spitting it back out all over us. The fact that he’s back to recording music so soon after such a life-reshaping personal catastrophe is a miraculous testament to his own strength. Even before hearing the album, I can feel the weight of its presence. It’s out there, waiting. And in a few days, it will be stomping all over my soul. But now, there is a chance, however slight, that Skeleton Tree will not be the best Nick Cave album that comes out on Friday.